The pristine waters of Lake Nahuel Huapi await in the heart of Nahuel Huapi National Park. Located in the heart of Patagonia, Nahuel Huapi National Park is one of Argentina's great natural wonders. Covering more than 7,050 sq km, Nahuel Huapi National Park attracts hundreds of thousands of visitors each year to experience its exquisite glaciers and rivers, and majestic forests and mountains. From snow-capped peaks to deep, crystal clear lakes, Nahuel Huapi National Park is a dream destination for any adventure traveler. 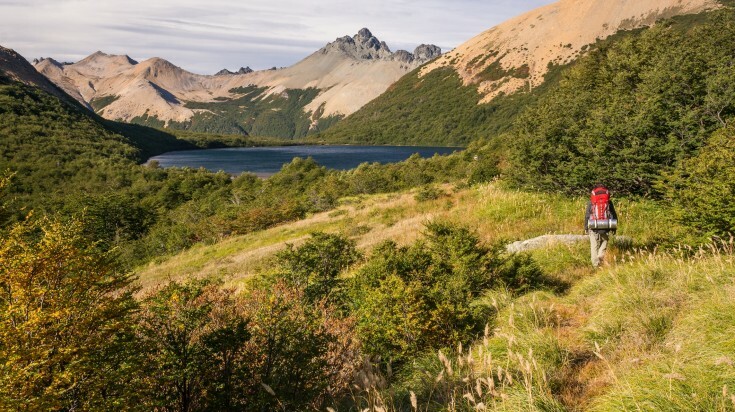 With more than 500km of trails crisscrossing throughout the park, adventurers of all ages, skill-levels and experience can enjoy exploring Nahuel Huapi National Park on foot. Treks range in difficulty and distance, from 12km to 45km, and can take anywhere from one hour to four days. Walk on rugged terrain and through forested valleys, pass glaciers and alongside dazzling lakes. Hiking or trekking is one of the best ways to experience all of the stunning nature that Nahuel Huapi National Park has to offer. Here is a tour that is perfect for those looking for a hiking experience in Nahuel Huapi National Park. With it's hundreds of kilometers of trails Nahuel Huapi National Park is an ideal destination for mountain biking. From the valleys, through the forests and on to the mountaintops, explore the park's rich and varied terrain on two wheels. Whether you choose to ride cross-country or single-track, take in the stunning views, lush forests and the blue waters of the rivers and lakes as you cruise through Patagonia. Fly through the air and above the trees by zip lining through Nahuel Huapi National Park. Enjoy an exhilarating afternoon and appreciate the amazing views of the mountains and lakes as you float between the platforms. Ride the cable car to the top of one of the region's highest peaks, Cerro Otto. Soar 1,405 m through the air as you take in the extensive views of the stunning Lake Nahuel Huapi and valley below. Free buses run from Bariloche frequently throughout the day making this an easy activity if you're short on time. Cerro Catedral is one of the largest ski resorts in the southern hemisphere. With more than 120km of slopes across a 600-hectare surface, Cerro Catedral is the perfect destination for any snow sport enthusiast. Great for skiers and snowboards of all levels; enjoy stunning view of the Andes and Lake Nahuel Huapi as you slide along the resorts' smooth terrain. Glide on the pristine waters of Lake Nahuel Huapi in your kayak, taking in a completely different perspective of the park. Paddle alongside icebergs and explore parts of the park inaccessible by land as you look out at the surrounding panoramas of waterfalls, forests and snowcapped mountains. Try this Bariloche adventure tour for a taste of Lake Nahuel Huapi. Nahuel Huapi National Park is a top destination for whitewater rafting. Take an exhilarating and exciting ride along the Manso River as you paddle through Argentina's Lake District. See lush forests, breathtaking views and some of the region's most famous creatures as you enjoy a fast and fun journey along the park's many rivers and waterways. 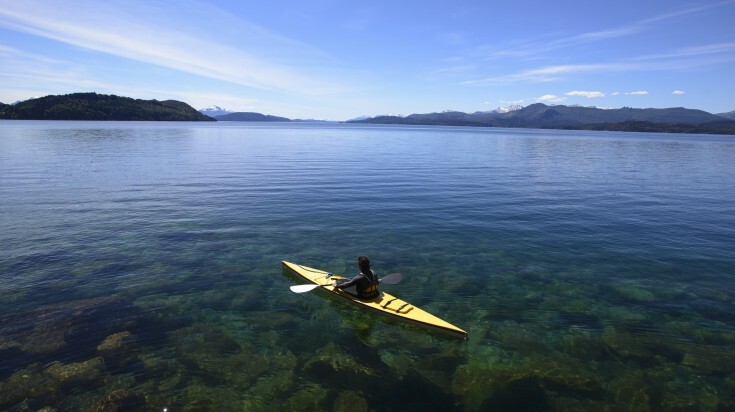 Take a dip in the clear and cold waters to see what lies beneath the surface of Lake Nahuel Huapi. Although you won’t find many colorful fish here, you can experience a plethora of interesting sights. From a sunken chairlift to a statue of Neptune, go scuba diving in Lake Nahuel Huapi for a completely different park experience. Nahuel Huapi National Park is a year-round destination. Winters are cold and rainy with frequent snowfall, and temperatures ranging between 2 and 4°C. Visit between June and September for the best conditions for skiing and snowboarding. 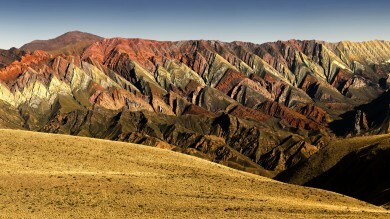 In summer, the park's conditions are dry and sunny, with temperatures averaging 15°C. 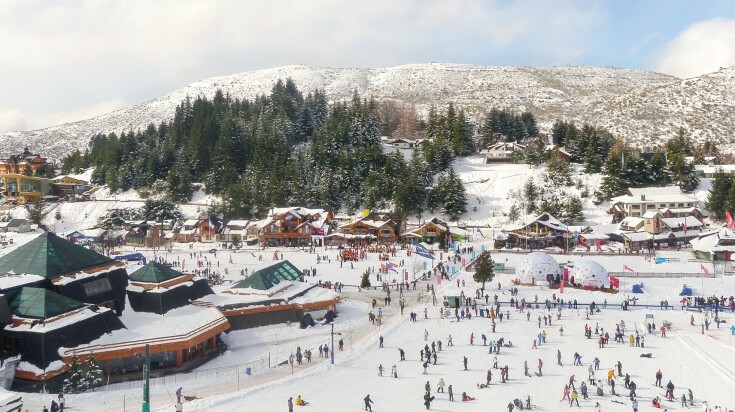 It is the most popular season with most people visiting the park between January and February. San Carlos de Bariloche is the area's largest city. Surrounded by Nahuel Huapi National Park, Bariloche is the base for tourism and the gateway to Patagonia. The easiest and fastest way to reach Bariloche is by plane from Buenos Aires, with flights offered frequently throughout the week. 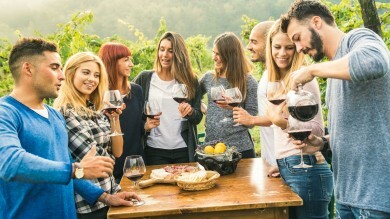 Once in the city, make use of the excellent public transportation and tourist buses that operate on a daily basis to get to and from the area's main attractions. Depending on the activity, stays can range in length from a half-day to more than a week. Bariloche offers many accommodation types to fit any budget or style of travel. From high-end hotels to budget hostels, there is no shortage of options in the city. Certain access points require visitors to pay a park entrance fee of USD 6. If entering the park via boat excursion, visitors are required to pay a USD 2* port tax in addition to the entrance fee. If you plan to go trekking, you are required to register your intentions with the National Park; you can do so at the information centre. Weather can be unpredictable, so it's best to prepare for wind, rain, sunshine and even snow. Nahuel Huapi National Park is one of Argentina's many natural wonders. From the snow-covered peaks of the Andes to the depths of Lake Nahuel Huapi, it's easy to see why this is one of the country's most visited nature reserves. 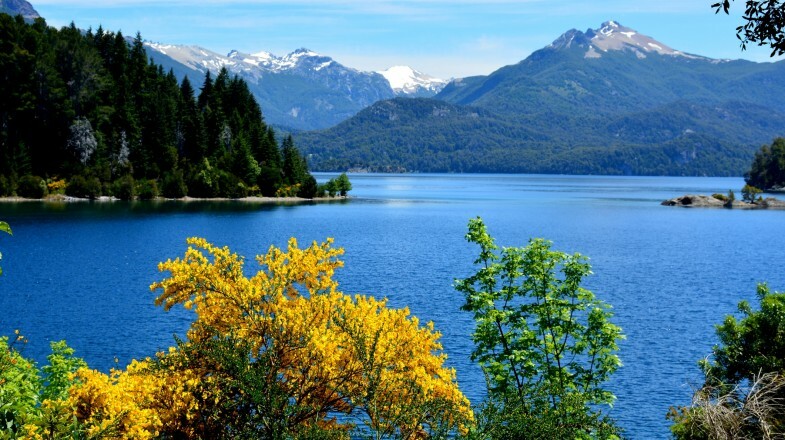 Whether you want to explore on foot, two wheels, on the lakes or through the air, Nahuel Huapi National Park is a must-see for any and all travellers.